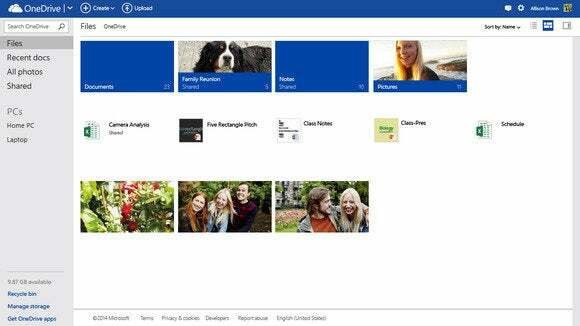 Microsoft said Thursday it has increased the limit of OneDrive or SharePoint storage that a business user may access, just a week after Google revised its own cloud storage pricing and limits. Specifically, Microsoft raised the quota storage limit for OneDrive for Business from the previous maximum of 100GB to a maximum of 1TB. (The default quota is 25GB per user.) Now, an administrator can set an upper quota of 50GB, 100GB, 250GB, 500GB, or 1TB. A week ago, Google revised the pricing structure on its own Google Drive cloud storage, making available a terabyte of storage, per user, for $9.99 per month. Google makes 15GB of free storage available to each user. However, the two plans—Google Drive and OneDrive for Business, as managed by SharePoint—aren’t directly comparable, because Microsoft’s program allocates storage out of a shared pool. According to Microsoft, the pool is allocated by giving 10GB to each user, plus 500MB multiplied by the total number of users. A business on Microsoft’s A2 plan, employing 10,000 users, would have 5TB of pooled storage available, Microsoft said. Microsoft also said the SharePoint Online limit, formerly 25TB, has been removed, which means a business may purchase as much pooled storage as needed in its tenant, the company said.